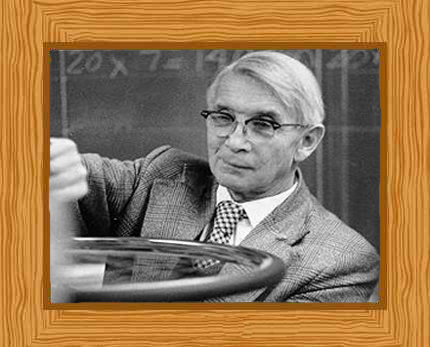 There are many great names in the field of Physics and one man that deserves to be lauded is Ernst Ising. This German physicist is most remembered for the Ising model that is one of the standard models used for statistical physics. He was not only a brilliant physicist but he also was a great teacher that helped hone many young and brilliant minds at Bradley University. Ernst Ising was born in Cologne, Germany on 10 May 1900. His mother was Thekla Ising (neé Löwe) and his father, Gustav Ising, was a merchant. His family stayed in Cologne for two years then moved to Bochum, where young Ernst spent most of his childhood. In 1907 Ernst started school in Bochum and completed the Gymnasium in 1918. He was then enlisted for military training but, by a stroke of good fortune, World War I ended before he was ever mobilized. A year later he enrolled at the University of Gottingen where he studied physics and mathematics. He later continued his studies at Hamburg and Bonn. In Hamburg, Ising met physicist Wilhelm Lenz. He suggested that Ising should turn his attention to theoretical physics. Under the tutelage of Lenz, Ising began his studies on a model of ferromagnetism in 1922. His work was written up in his doctoral dissertation which was accepted in 1924 by the faculty of mathematics and natural sciences of Hamburg University. In his doctoral thesis he studied the special case of a linear chain of magnetic moments, which are only able to take two positions, “up” and “down,” and which are coupled by interactions between nearest neighbors. This became known as the Ising Model. After Ising received his doctorate, he moved to Berlin where he started work in the patent office of the AEG (Allgemeine Elektrizitätsgesellschaft) in 1925. It was a good position and he stayed for a year but was dissatisfied with the work and decided to pursue a career in teaching instead. He moved to America where he taught at a boarding school in Salem, Massachusetts near Lake Constance; he worked there for a year but returned to Berlin University in 1928 so he could begin studies on pedagogy (theory and practice of teaching) and philosophy. Two years later, in 1930, he passed the state exams on higher education and he also married economist Johanna Ehmer the same year. He and his wife moved to Strausberg where Ising once again got a teaching position at a school where he was a studienassessor – this was a title given to someone that holds a higher civil service post and has passed all the required examinations but is on probation. In January of 1933, Hitler came into power and in the blink of an eye, Jewish citizens in civil servant positions found themselves without jobs. Ernst Ising lost his employment as a teacher and was unemployed for a year though he did find some work at a school for emigrant children in Paris. In 1934, Ising obtained a new position as a teacher for Jewish children at a boarding school. It was located in Caputh, Germany which was very near Potsdam and was founded by Gertrud Feiertag, who was a known progressive social educationalist. Interestingly, this school was right next door to the summer house that belonged to one of the greatest minds of all time, Albert Einstein. When Einstein moved to the America in 1932, the school rented the summerhouse to be used as additional classrooms. This meant the number of enrollees increased (also due to the fact that Jewish children were being expelled from German public schools). Five years later, in 1937 Ising became dean of the school. In 10 November 1938, the school where Ising worked was destroyed, as part of a program to remove Jewish people from Germany. Alarmingly, a few months later, on 27 January 1939, Ising was interrogated for four hours after he was taken by the Gestapo. He was only released after he promised that he and his wife would depart from Germany. They travelled to Luxembourg in 1939 where they hoped they could leave for America. Unfortunately at that time the immigrant quota was full and so they had to remain in Luxembourg. They remained in Luxembourg during the Second World War, Ising taking menial work and working as forced labor to dismantle the railroad. It was not until two years after the war had ended that Ising and his wife made the move to America, finally arriving in New York in April 1947. Ising worked as a teacher at the State Teacher’s College of Minot, North Dakota for a year. Ising then accepted a position as physics professor at Bradley University in Peoria, Illinois in 1948, where he worked until he retired in 1976. His wife Johanna also became a professor at the same university. Ising devised the Ising model but he didn’t fully realize how important and useful it was until many years later. Aside from his love for physics, his other great love was teaching and his students at Bradley recount his humor and his elaborate experiments in class. Ising himself has stated that no class is complete unless his students had laughed with him. He was a marvelous teacher and contributed greatly to the university though he never returned to active research. Ising married economist Johanna Ehmer in Berlin in 1930 and they had a son Tom, born in 1947. In 1953 he was granted US citizenship. Ernest Ising lived in Peoria, Illinois until he died on 11th May in 1998, a day after he celebrated his 98th birthday.